Zahmir White, left, is on trial in the Easter Sunday 2018 fatal shooting of William Bethel IV, 16, on the 800 block of South Street in Bella Vista. Bethel was a Boys' Latin sophomore. There was no dispute Monday about who shot William Bethel IV, a sophomore at Boys’ Latin of Philadelphia High School, last Easter on South Street. But as the murder trial of Zahmir White opened in the Stout Center for Criminal Justice, both sides differed on the reasons behind the shooting. “Bill Bethel was gunned down in broad daylight by the defendant,” Assistant District Attorney Adam Geer told the jury of seven women and five men, saying White, then 18, deliberately and intentionally killed Bethel by shooting him in the lower back as he ran away. But defense attorney Billy Ciancaglini contended that the shooting was self-defense, with White reacting after feeling threatened. At issue could be the interpretation of the words the young men spoke that day. Geer set the scene for jurors: On April 1, Bethel was on South Street with his cousin and two friends, and had just bought sneakers with money he got weeks earlier from his parents for his 16th birthday. The friends went to the 800 block of South. There, Bethel and one of the friends, Khaleaf Sistrunk, went inside a massage parlor for chair massages, while cousin Samir Whitaker and the other friend, Christopher Elliott, stayed outside. The two teens outside spotted White, nicknamed “Pikachu,” walking toward them with a friend. 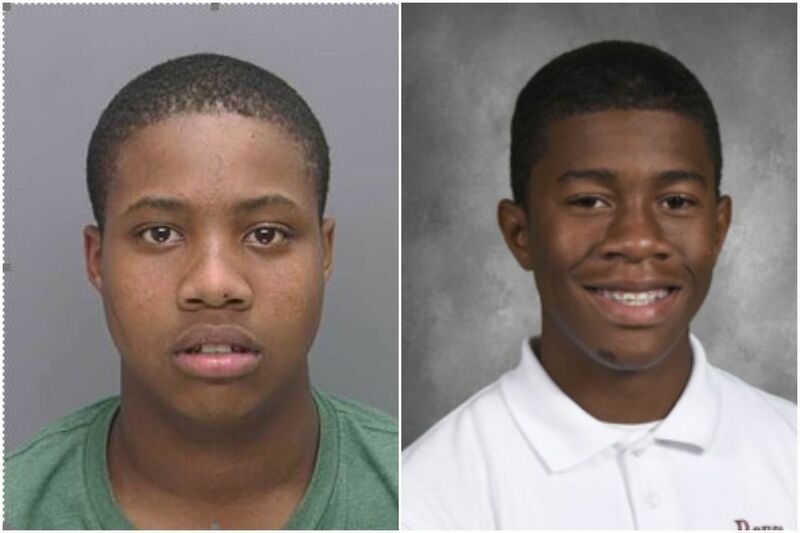 Police have previously said that the men knew each other from their South Philadelphia neighborhoods. White allegedly replied, “What’s up. What, you all gonna stroll on me?” — street talk that may have been suggesting a fight. Sistrunk replied, “No,” according to the prosecutor. Still, he said, White pulled out a gun and started firing. Sistrunk and Whitaker ran into the massage parlor, while Bethel and Elliott “ran for their lives,” the prosecutor said. Bethel was struck above his tailbone and fell to the ground. Police rushed him to Thomas Jefferson University Hospital, where he died two days later. Ciancaglini, however, argued that “What’s up?” is not a casual greeting. Ciancaglini contended that Elliott had a gun in his book bag and that’s why he went to grab it. “My client had two choices — get shot or defend himself,” said the defense attorney, who alluded to a “prior problem” between the groups of teens but didn’t elaborate. Geer, however, told jurors that evidence will indicate that only one person — White — pulled a gun. White faces charges of first- and third-degree murder and weapons offenses. He also faces two counts of attempted murder for shooting at but not hitting Sistrunk and Elliott. If convicted of first-degree murder, White faces a mandatory sentence of life in prison without parole. Before jury selection Monday, White told Common Pleas Court Judge Glenn Bronson that he was rejecting an offer by the District Attorney’s Office to plead guilty to charges of third-degree murder and a weapons offense in exchange for a sentence of 25 to 50 years in state prison. White was a fugitive for nearly two months before he was arrested May 23 at a relative’s home in the city. Bethel, of Roxborough, previously lived in South Philadelphia and still had friends there. Boys' Latin, in West Philadelphia, has described Bethel as a scholar-athlete who was on the honor roll and participated in boxing, football, and basketball.